Unfortunately, many of the people who would remember these celebrities, are not computer literate. So, if you have an elderly friend about, why not show them this series of photographs from Birmingham Hospital. Recognize the young soldier above right? In less than a decade after this publicity photo was taken at Birmingham Hospital, this San Fernando Valley-based performer would become one of the most popular celebrities in the world. "Fondly know as the 'Pearly Gate Quartet', Sgt Cully Richards, Cpl. Lilio Chiodi, Lt. Harold Boswick, and S/Sgt Desi Arnez make with the rhythm on 'Birmingham Showtime'." Two of the biggest celebrities of this era stand by this soldier in Birmingham Hospital in 1944. They are Basil Rathbone (who played both the good and bad guy in many films, including the role of Sherlock Holmes) and Mary Pickford. Mary had world wide recognition for her silent and talking picture roles. "Sgt. 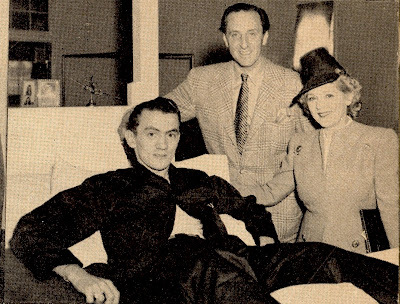 James G. Saines, one of BGH's first patients, enjoys a visit with screen starts Basil Rathbone and Mary Pickford." 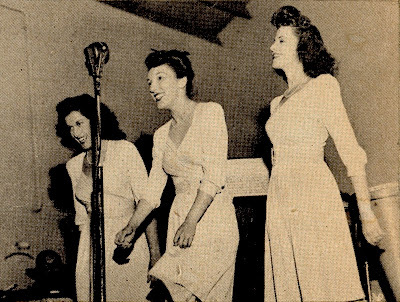 Here's a trio who stumped me, I'd never heard of them before I discovered this photograph in Myron Ross's donation to The Museum.Originally called the Bagelman Sisters, the three young women gained recognition as the Barry Sisters. 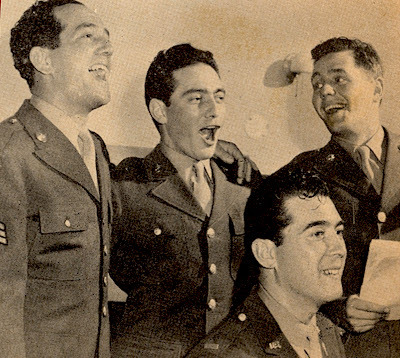 They fused Yiddish sounds and energy into jazz during the 1940s and 50s. "Clarence Nash, the voice of famed Donald Duck, greets Pfc.Frank Martinez, BGH patient. 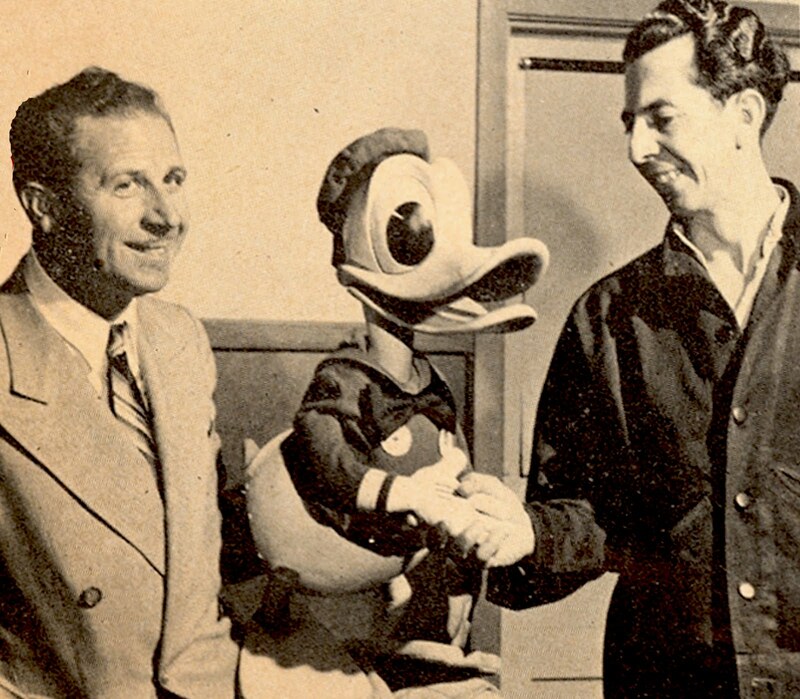 Mr. Nash participated in the fine Walt Disney show put on here at the Rec. Hall on 18 April 1944.